Is There Is Damage On Your Roof? 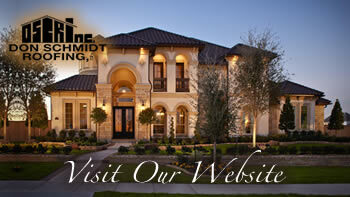 Home » Don Schmidt Roofing Blog » Is There Is Damage On Your Roof? At Don Schmidt Roofing we provide fair quotes for your roof damage, so it can be fixed as soon as possible. Because finding damage on your roof can be very stressful and most of the time it comes at the most inconvenient time of your life. We are also more than glad to help you prepare ahead so you don’t have an emergency roof repair need. Our roofing technicians offer comprehensive inspections for single family homes, multi-family homes as well as villas and estates. We will inspect all areas of the roof, not just where you already see issues, and we will promptly address any damage and repair any leaks as soon as possible. We are the roofing contractors that families and HOA’s have counted on for years, and so we value our close relationship with the community that we live, work and play in. Our services are catered to your needs, and our goal is your satisfaction. Your roof is an important component in your home because it keeps your family safe, let us take care of your needs and call us today for your free estimate. You are in safe hands with us, whether it be for your business or your home, and you’re not sure what to do… Give us a call Don Schmidt Roofing would love to earn your trust and help you with your central Florida home/commercial roof repair or installation. Call us at 407.892.9884 today or contact us online at www.DonSchmidtRoofing.com. We are a local family owned business serving central Florida since 1988 and an Osceola county resident since 1959. Put your roofing project into the hands of a contractor you can trust. Please fill our service request form completely so we can help you as soon as possible or send an email to jeff@donschmidtroofing.com. Find other hurricane preparedness tips and more information about Hurricane Preparedness Week on the National Weather Service web site.